Celebrating your child’s birthday is supposed to be fun… so how come it’s so stressful? Birthday parties at Everson’s are the perfect solution! Planning your child's birthday party can be stressful! Booking a location, sending out invitations, tracking RSVPs, and planning activities... and that’s all before the party begins! Let Everson's Karate take the stress out of what should be a fun and an enjoyable time for your child's special day and your family. Our birthday party packages cover just about everything so you can focus on what’s more important: celebrating your child’s big day! at the store! We take care of it so you can focus on the party! We Take Care of The Set-up! will be ready to go off without a hitch. From the chairs to the balloons, down to the plates and spoons, you let us know what else is needed, and we’ll help you prepare them. All you need to think about when the day comes is on how to enjoy your child's party like they will! The most important part of a kid’s birthday party is FUN! With pre-planned activities that are designed for children of all ages and physical ability, everyone will have a good time! Our goal is to make your life easier by throwing a super-fun party that all the kids will be talking about for years to come! Why waste time and energy when you can leave the hard work to us? The birthday boy or girl (and their guests*) will get to break wooden boards. They can sign them and take them home as a souvenir. The Birthday boy/girl will get to cut their birthday cake with a REAL Samurai Sword! 1 hour of Karate and Games (see birthday packages below for details). Each guest also receives a free pass for karate lessons! Focus on Fun! We Take Care of The Rest! Part of having a blast means making a mess. Don’t worry about the clean-up. We’ve got you covered! Our team will clean up everything after your child's party. Throw a super-fun party that all the kids will be talking about for years to come! Planning your child's birthday party can be stressful! Booking a location, sending out invites, tracking RSVPs, planning activities and that’s all before the party begins! Our birthday party packages cover just about everything and our goal is to make your life easier by throwing a super-fun party that all the kids will be talking about for years to come! Why waste time and energy when you can leave the hard work to us? Birthday Packages Start At $300! Perhaps the best part about our children’s birthday parties is how affordable they are! Party packages start at just $300. 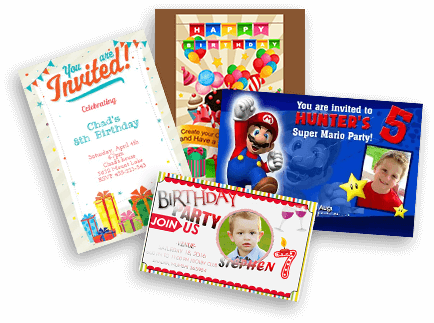 Contact us today to learn more or to schedule your kid’s next party! Just booked another birthday party at Everson's! I know from past experience that my guests will be treated in such a way that their enjoyment is guaranteed and a top priority... Not to mention my son is really excited to wear a black belt for the day! A great time is always had by all! I just wanted to say how impressed I was with the way my sons' birthday party was handled a few weeks ago. All of the children had so much fun and the birthday party was the talk of the parents the following week. As always, the staff was wonderful with the children and I am so grateful for all the help. We don’t take away fun with affordability, we make it our top priority! *All our birthday packages come with tons of fun and engaging activities, and lasting memories! 1 Hour Nunchaku Training Included! Karate, Games and Nerf Wars! Come one come all for a fun day of Bouncing, Karate & Games! Each package comes with all of these goodies you don’t wanna miss! A Birthday Party Worth Telling! The most important part of your child's birthday party is FUN! With our pre-planned activities designed for children of all ages and physical ability, everyone will have a good time! We take care of everything - planning, invitations, activities, and fun - all in an environment that is safe and comfortable for your child. After the party, we clean up so that all you have to do is take your child home happy. Kids love celebrating birthdays at Everson’s Karate, so contact us for availability for the best birthday party experience ever! All guests get Free pass for karate lessons! Sign up for specials, free events and our free e-books for child saftey. Our calendars fill up fast! Every party is a unique party, and so is every birthday celebrant. That’s why we make sure every birthday party we hold is one of a kind, one that keeps people coming back. Book now, book early, and get your spot ready for the big blast! Make your son or daughter the big star of his/her birthday party! Better than that, all guests GET A FREE KARATE Lesson!